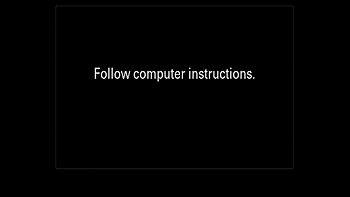 For more detail, please visit following page. 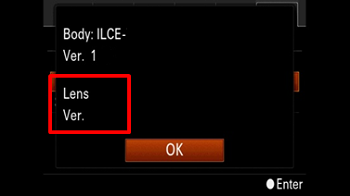 Lens system software version [Ver.01] should be updated. 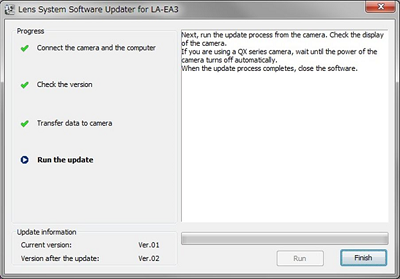 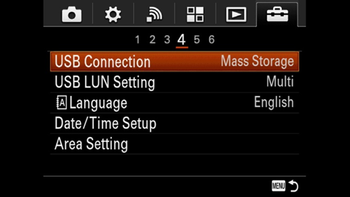 This Lens system software update can be performed only when the LA-EA3 is attached to the camera. 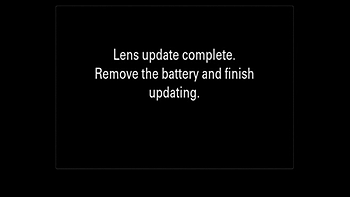 *You cannot perform the Lens system software update using other camera. 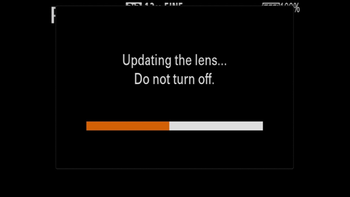 Please make sure to attach the lens to the camera before performing the Lens system software update. 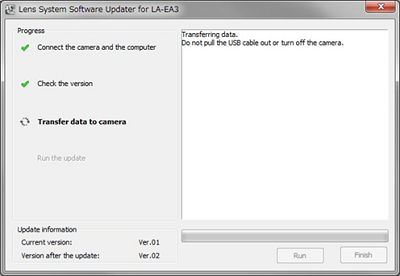 *Before you attach the LA-EA3 to the camera, please make sure to turn off the camera. 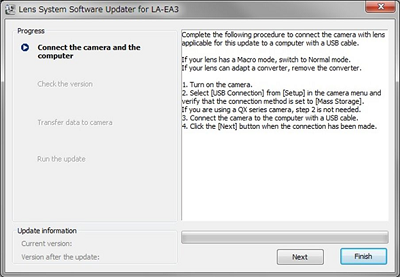 *Please make sure not to attach the A-mount lens to the LA-EA3 before performing the lens system software update. 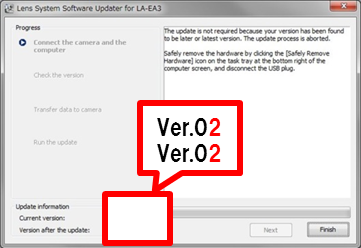 The download of the [Update_LA-EA3V200.exe] file will start. 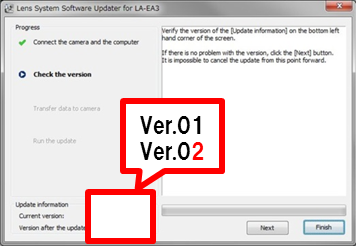 Once the file has downloaded successfully, you're ready to install the lens system software update Ver.02 for LA-EA3. 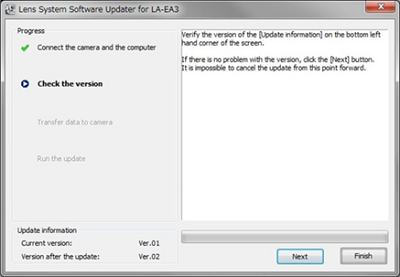 Double-click the [Update_LA-EA3V200.exe] file you downloaded to start up the lens system software updater.